Independently owned and operated commercial real estate firms account for approximately half of the market place for commercial real estate. Some of these firms choose to remain unattached to a national/international brand and some see the value in being part of a larger group or brand. 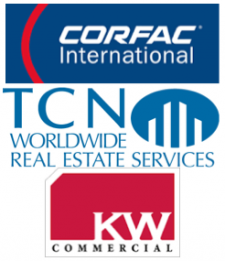 Through the thousands of commercial real estate firms and tens of thousands of commercial brokers Leavitt Digital (LDCRE) works with, we spoke with a few of these national and international companies and explored what they offer to independently owned brokerage firms and their brokers.